This entry was posted on February 3, 2009 at 11:55 am and is filed under Uncategorized. You can follow any responses to this entry through the RSS 2.0 feed. You can leave a response, or trackback from your own site. nice layout…I know what you mean about being behind! I think I have way too many toys…and can’t do everything at once!! 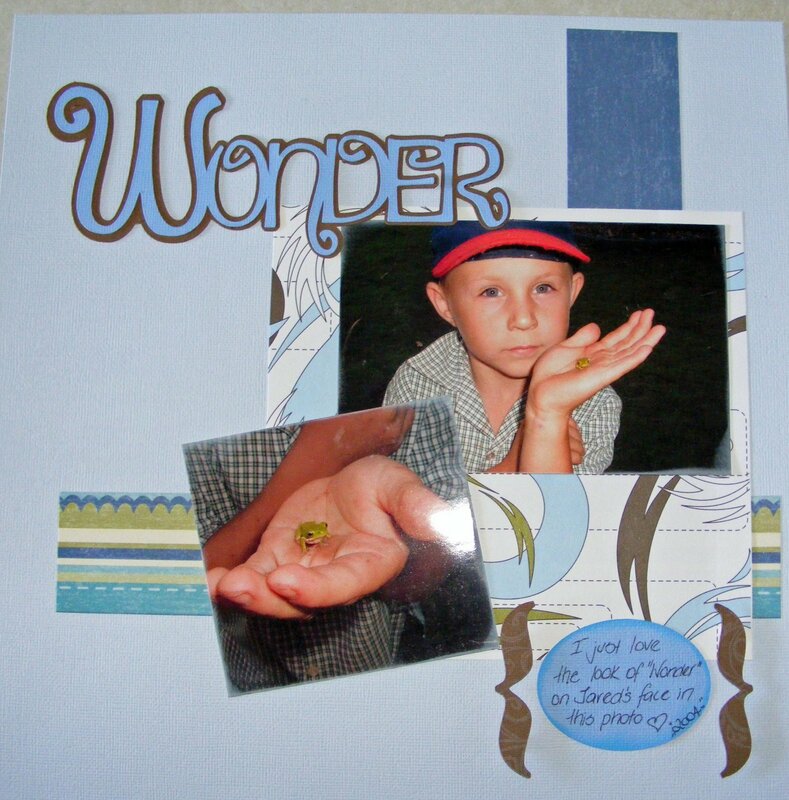 Thanks for sharing your layout…little man is a cutie! awww he is so cute! Oh Kris! I use my Cuttlebug all the time! You must get it back out and play with it! 🙂 (Phew…I wasn’t even paid to say that. LOL!) Thanks for stopping by my blog! I love to meet new bloggers! LOVE this font…wondering what font it is?